Oops! I accidentally forgot to publish this post Monday night. Accidentally hit Save instead of Publish. So here ya go —a day late! It's hard to believe the Reclaim & Revolt program is a quarter of the way over! At this point, I'm not looking forward to the end. This little wellness program has introduced me to an awesome community of like-minded folks through our R&R Google Group, and I want it to last forever! We all share our affirmations and gratitudes for the day there, and it's so cool to read other people's positive thoughts each morning. But hey, there are still 3 weeks left, so maybe I should look on the bright side. Today's focus is on astrology, so Kelsey of Deep Sea Astrology sent us some info on figuring out our personalized elemental constitution. I haven't had time to do it yet! But I'll let y'all know what I find out. Personally, my marathon training program for the Nashville Rock 'n' Roll Marathon (it's in April) started today. It was raining though, so I had half a Phyter Butternut Squash & PB bar and hit the treadmill (BLAH!). Then I came home and had this bowl of Lacy's Warm Oats & Nice Cream. Sorry for the yellow-y pic. My usual natural morning light was obscured by rain clouds. The oats are sweetened with maple syrup, and they're topped with homemade banana soft serve (to which I added a scoop of chocolate protein powder). Also topped with cacao nibs and chia seeds. 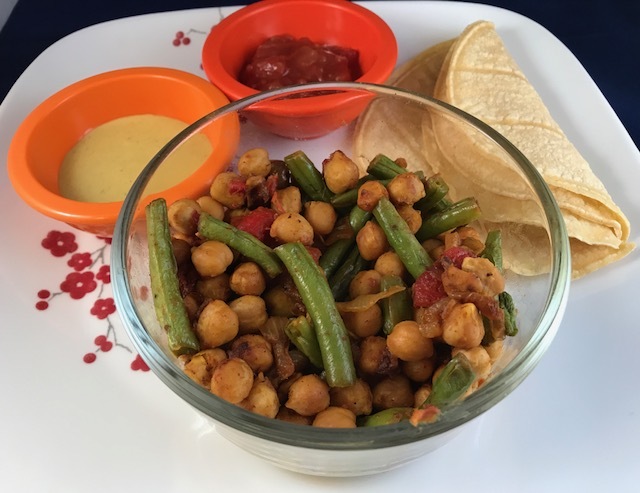 This was one of my fave recipes on Lacy's Reset & Restore plan last January, and I was glad to see it in her Reclaim recipes this time! 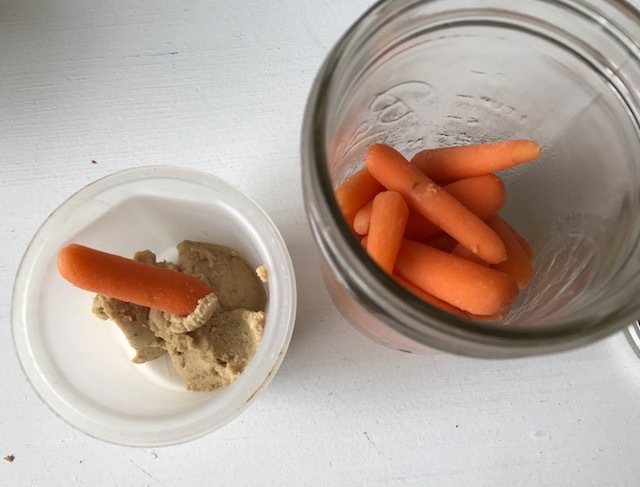 My morning snack at work was Baby Carrots & Roots Oil-Free Hummus. 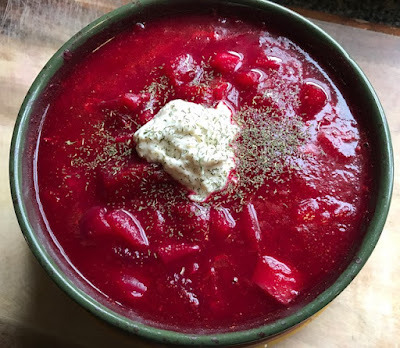 And lunch was more Ruby Hued Borscht with Cashew Sour Cream. The recipe made a ton, so I'm glad Paul likes it too. He took some to work for lunch as well. I may even freeze some to have later in the month. In the afternoon, between work meetings, I snacked on Cacao Hemp Almonds. No picture because I gobbled them right up. But they're awesome, and they're made by Nativas Naturals. The rest of the night was spent doing more food prep for the week! And I tucked in early because I'm all about getting more sleep these days. This definitely seems like your best January yet. I'm really loving it. I still need to try oatmeal with nice cream. That sounds amazing. I love the idea of the nice cream with oatmeal. Every time you post about it I mean to try it out,but I haven't yet. One day soon! I have to find those phyter foods bars, the butternut squash and pb sounds really awesome and i need more variety aside from my usual clif builder bars... i love having a ton of delicious soup ready to eat in my freezer, borscht reheats well too. Beyond Burger at the Young Avenue Deli!